Strong SPF 50+ broad spectrum sun protection in a convenient 125mL bottle. Fast-absorbing, dry-touch formula rubs in easily in seconds. WHAT IS AQUASUN SPF 50+ FOR? 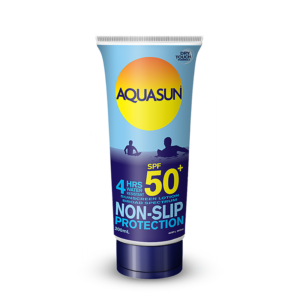 Designed specifically for protection from the harsh Australian sun, Aquasun SPF 50+ improves your skin's natural sunburn protection. The dry touch formula rubs in easily and dries in seconds. Water resistant for up to 4 hours. 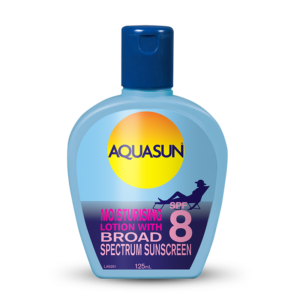 WHO IS AQUASUN SPF 50+ FOR? 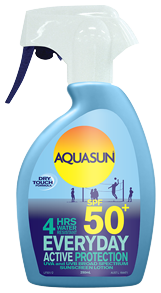 Aquasun SPF 50+ is perfect for active families who love the outdoors. WHEN SHOULD I USE AQUASUN SPF 50+? Apply liberally 15 minutes prior to sun exposure, and re-apply every 1-2 hours or after swimming, exercise, excessive perspiration or towel drying. WHY SHOULD I USE AQUASUN SPF 50+? 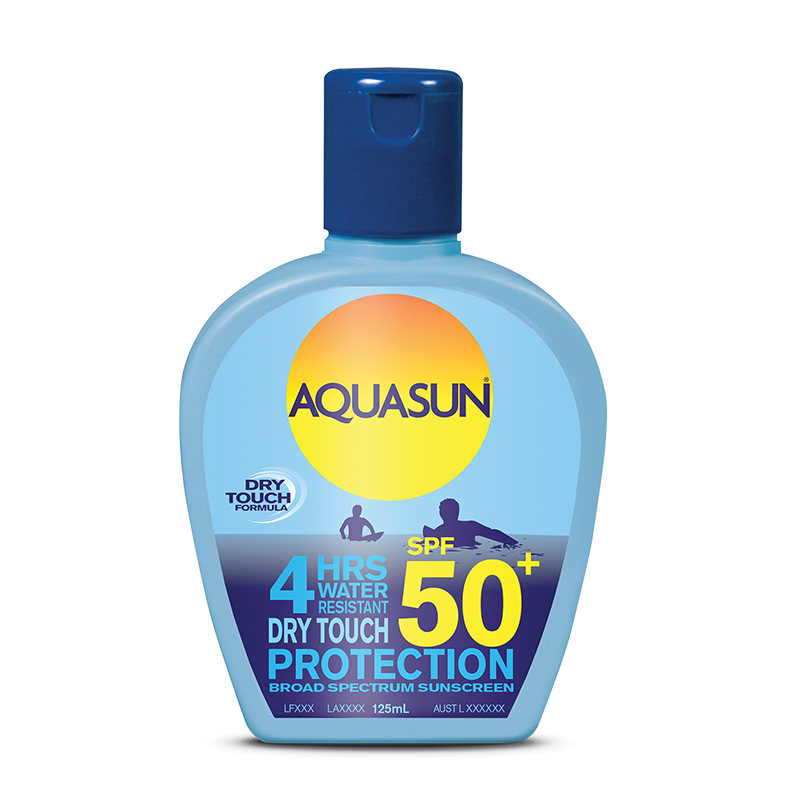 Aquasun SPF 50+ contains broad spectrum sunscreens to help block UVA & UVB rays, providing 30 times your skin's natural sunburn protection. Frequent use may help provent premature ageing of the skin caused by over-exposure to the sun and may over time help reduce the risk of some skin cancers. Apply lotion liberally and generously onto clean, dry skin and rub in evenly. Apply enough to give a visible layer before rubbing in. For external use only. Keep out of eyes. Wear protective clothing, hat sunglasses and use sufficient sunscreen for all unprotected areas. Do not apply to broken, damaged or diseased skin. Avoid contact with fabrics as the UV filters in this product may cause staining. If a rash or irritation develops and lasts, discontinue use and contact a doctor. For sensitive skins, test product for any skin irritation on a small area of the skin prior to use.